The 2015 Audi S3 is a landmark car for us Americans. It's our first-ever S3, and since it's a sedan now like its baby brother the A3, we might actually buy it. But how much will it hurt our wallets if we do? Apparently, $41,100. Not bad! This purportedly leaked document from Audi of America claims the nearly 300 horsepower, all-wheel drive sedan will start at $41,100 for the Premium+ trim. The better-equipped Prestige version will start at $47,000 if this document is correct. And I think it might be. 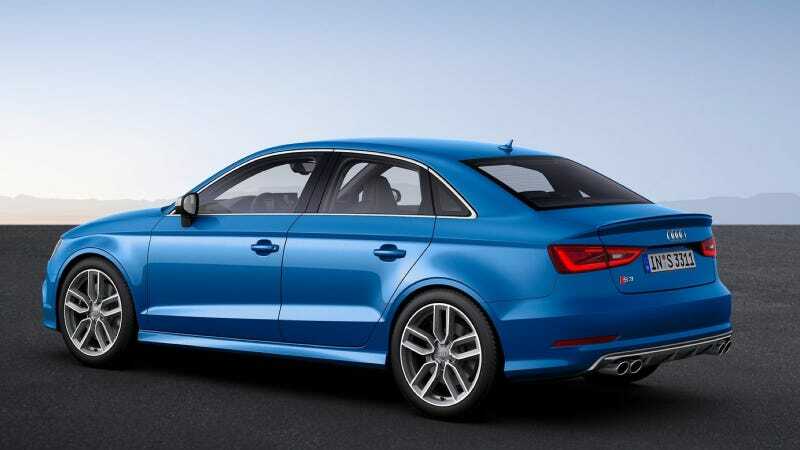 It's certainly accurate about pricing for the 2015 Audi A3's various trim and engine levels. Audi hasn't confirmed it yet, but it seems to be pretty spot on. Big hat tip to Saracen, Manual Douche Elitist and Chris Fu!